HUNTSVILLE, Alabama – The downtown Huntsville dining scene will add a new player this weekend. Chef Chris McDonald said The Bottle restaurant is tentatively scheduled to open at 4 p.m. Friday at 101 Washington St. The new French-influenced eatery takes over the space most recently occupied by James Steakhouse. McDonald, formerly executive chef at Grille 29 in the Village of Providence, and former Watercress Executive Chef Andy Howery are teaming up to run The Bottle as well as a new-look Humphrey’s Bar & Grill next door. Humphrey’s is on track to open late next week following extensive renovations. McDonald said The Bottle will specialize in steaks, chops and fresh fish including salmon, grouper and red snapper. The changing seasonal menu will include raw oysters (from Canada this time of year), beef carpaccio and jumbo lump Maryland-style crab cakes with Silver Queen sweet corn salsa. The chefs are also resurrecting two beloved dishes from the old Green Bottle Grill on Airport Road: heirloom tomatoes and fried okra, and a “wilted slaw” made with Napa cabbage and blue cheese. Howery was the longtime sous chef at the Green Bottle, and former Green Bottle owner Anne Pollard is an investor in the new downtown restaurants. The tentative plan for Friday is to open The Bottle’s bar at 4 p.m. and serve dinner from 5-11 p.m., said McDonald. Regular operating hours will be 4-10 p.m. Monday through Thursday and 4-11 p.m. Friday and Saturday. 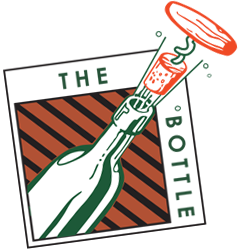 The Bottle will be closed Sundays. A lunch menu is in the works for this fall. McDonald said he wants the new eatery to be more than a “special occasion” place.